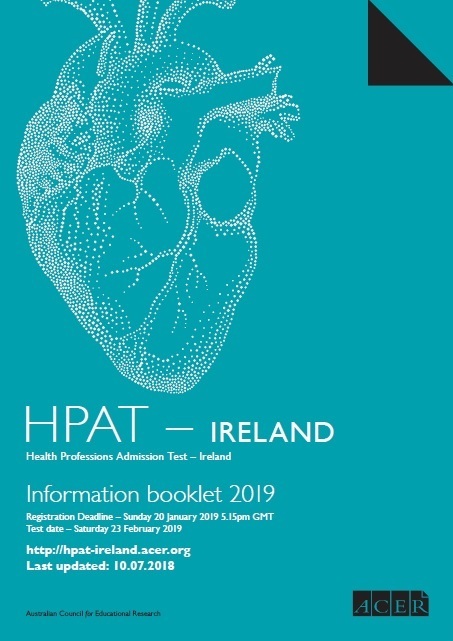 HPAT – Ireland will be offered in Cork, Dublin, Galway, Limerick, Sligo and Waterford. Additional test centres will not be established. The test is held on the same date at all test centres. When completing the registration form, select the city which is most convenient to you. Places are limited, so you are advised to register early. Please note that you will only be able to select your preferred test centre if places are still available. Candidates could change their preferred test centre online through their account up to 3 February 2019 at 5.15pm GMT, subject to availability. If a test centre change is required after this date, please email the HPAT – Ireland Office for advice. Please note you can only choose the city in which you prefer to take the test. If there is more than one venue in the selected city, you will be allocated automatically to one of the venues. Test venues cannot be chosen by candidates.